Vespa models are increasingly resemble to the old mopeds that were on the roads in the 50’s and 60’s of the last century. This heritage of Vespa does not intend to leave, but to present more special editions such as two that were presented for this season. Vespa GTS SuperSport and Vespa GTS Touring are special versions of the GTS series. SuperSport version is inspired by the Vespa GS model from the mid-twentieth century, as well as the T5 model that was around the mid-eighties. Sports style is obtained by a special matte black lacquer, orange stitching on the seat and prints in the same color and special markings. 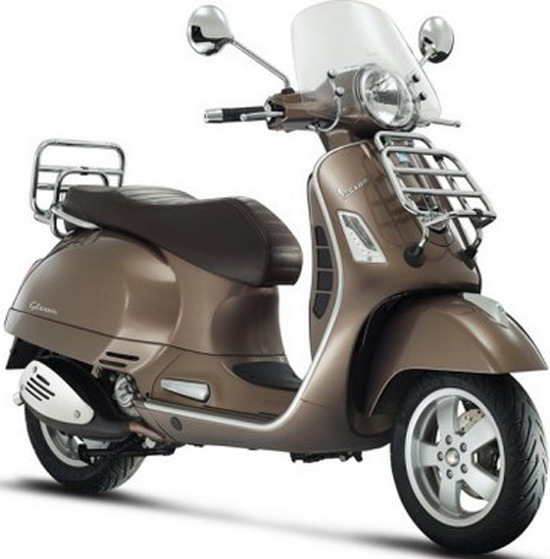 On the other hand, Vespa GTS Touring, is intended for all those who prefer to travel on their two-wheelers. It is characterized by the windshield which not only protects the driver from the wind, but brings a dose of elegance to this scooter. There are luggage racks mounted on the front and back of the scooter, which together with a larger cargo space under the seat makes more room for luggage for longer trips. Like the Vespa GTS SuperSport and Touring variant is identified by a unique light and special markings. 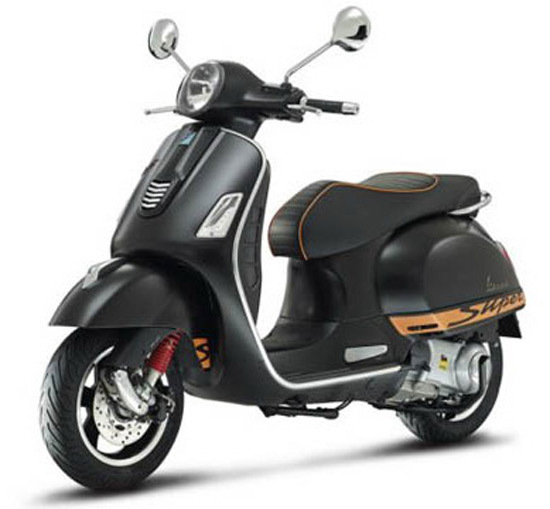 Both copies launches single-cylinder engine capacity of 300 cc with direct injection whit 22Hp and 22.3 Nm, and the Vespa GTS SuperSport is also available in a version with a 125 cc engine. Both, the Vespa GTS SuperSport GTS and Touring are available with ABS.